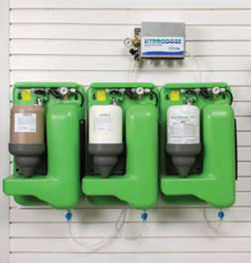 Solid Solutions water treatment technology enables mixing several chemical components into one container in a solid concentrate. 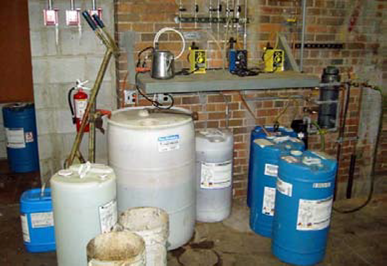 Virtually all limitations of liquid chemicals are minimized or eliminated. Solid Solutions water treatment technology is manufactured based on environmentally-friendly, proven water treatment chemistry combinations. Ingredients are more environmentally friendly. Proprietary process removes the water from the chemistry. Product is in the form of a solid paste. Packaged in one gallon recyclable, plastic bottles. Also available in "disks" and "sticks"